A very large and gentle species. 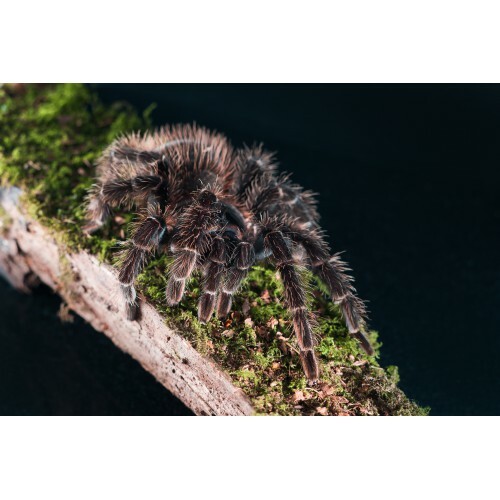 These are quick growing tarantulas reaching a leg span of 10 inches. Who ever named them didn't know them very well. They do not eat birds, they live on the ground and prey on insects and small vertebrates. In the wild they would be living in the jungles of Brazil.